On Tuesday, March 15, 2016, nine Mary Pappert School of Music students competed in the annual Scholarship Competition, sponsored by the Duquesne University Women's Advisory Board. Zachary Smith (clarinet), Mariangela Gominho (voice), Nicole Witkowski (flute), Dierdre Skiffington (oboe), Madison Sauer (voice), Daniel DeSimone (trumpet), Samuel Heiger (alto saxophone), Gavin Horning (jazz guitar), and John Shank (double bass) all vied for first place and the $10,000 scholarship that goes along with it. Nicole Witkowski, a student of the Pittsburgh Symphony's principal piccolo player, Rhian Kenny, placed first, winning the scholarship. Witkowski is a junior music education major, and she performed Copland's Duo for Flute and Piano, accompanied by Anna Kovalevska. Samuel Heiger, a student of internationally recognized tenor saxophonist James Houlik, took second place and a $2,000 scholarship. Heiger performed the second and third movements of Paul Creston's Concerto for Alto Saxophone and is also a junior music education major. Each student performed 12 minutes of prepared music for two adjudicators - Kathy Linger and Mark Anderson. Linger is a member of the professional singing core for the Mendelssohn Choir of Pittsburgh and the Shadyside Presbyterian Chancel Choir, and Anderson is the Director of Music Ministry at Shadyside Presbyterian Church. Seth Beckman, Dean of the Mary Pappert School of Music, said, "We are all very proud of our outstanding student musicians here at Duquesne. These nine students are among the finest young artists in our school, and we are confident that they will find great success as their musical careers continue to evolve. 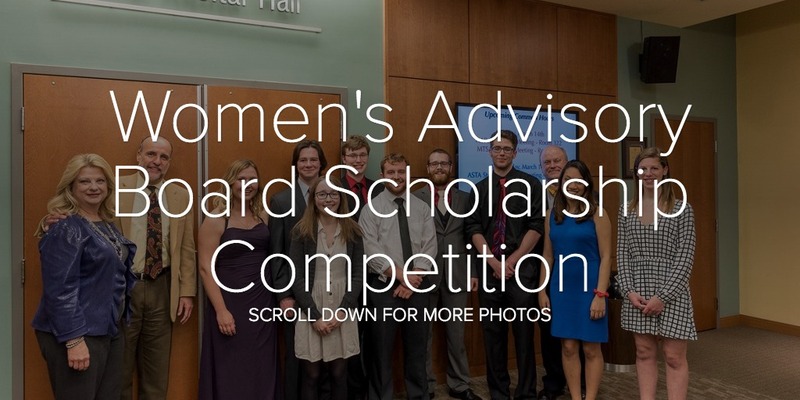 We're so appreciative of the Women's Advisory Board for supporting our students."